The African Journal of Aquatic Science is an international journal devoted to the study of the aquatic sciences, covering all African inland and estuarine waters. 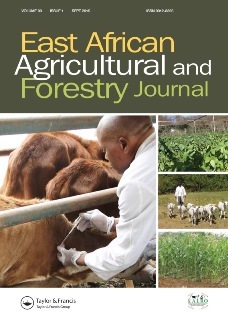 The Journal publishes peer-reviewed original scientific papers and short articles in all the aquatic science fields including limnology, hydrobiology, ecology, conservation, biomonitoring, management, water quality, ecotoxicology, biological interactions, physical properties and human impacts on African aquatic systems. Supported by the Southern African Society of Aquatic Scientists, the African Journal of Aquatic Science serves as a reference source for those interested in understanding the valuable aquatic resources of Africa. 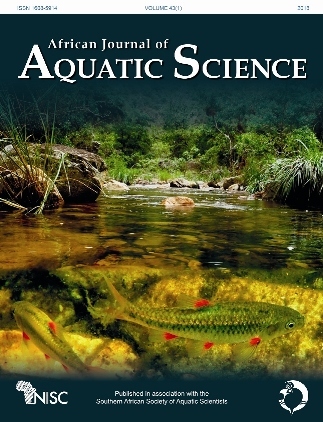 All manuscripts presented in accordance with the Instructions to Authors should be submitted online at the African Journal of Aquatic Science ScholarOne Manuscripts site (http://mc.manuscriptcentral.com/ajas). Membership of the Society is open to all interested persons. Membership rates and information on the Society can be obtained from the Secretary. Further information on the Southern African Society of Aquatic Scientists can be found at www.riv.co.za/sasaqs. 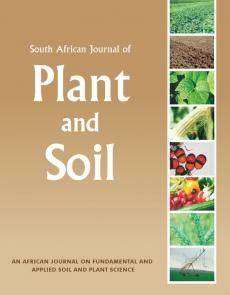 matters should be emailed to the Editorial Office at ajas.office@nisc.co.za. Editorial policy: Contributions are accepted on the understanding that the authors have the authority for publication. Submission of multi-authored manuscripts implies that all authors have approved submission of the article to this Journal, have read it and approved of its publication. Manuscripts should not have been published before and must not be under consideration by another journal. The submission of a manuscript by the authors implies that they automatically agree to assign exclusive copyright to the publishers of the African Journal of Aquatic Science, NISC (Pty) Ltd. Contributions must conform to the principles outlined in Ethical considerations in research publication available for download below. Page charges of R200 (excl. VAT) per page for African contributors and US$30 per page for contributors from elsewhere are levied. Page charges are waived for lead authors who are paid SASAqS members. Non-members who do not have access to funding to cover the publication costs may apply to the Editor-in-Chief to have their page charges waived. Illustrations can be reproduced in colour, but only when essential, and subject to approval by the Editor-in-Chief. Non-essential use of colour will be charged at R900 (excl. VAT) per page for African contributors and US$150 per page for contributors from elsewhere. Manuscript submission: All submissions should be made online at the African Journal of Aquatic Science ScholarOne Manuscripts site. New users should first create an account. Once a user is logged onto the site submissions should be made via the Author Centre. Please read the guide for ScholarOne authors before making a submission. The following guidelines for preparing your manuscript for this journal should be followed. Manuscript format: Manuscripts must be in English in MS-Word format (font Times New Roman, 12 pt) in A4 format, 1.5 line spacing. Number all pages sequentially. Refer to the sample manuscript and additional guidelines available for download below. Tables combined and figures combined are to be submitted as separate files. The title should be a concise description of the study’s key content. An abstract of not more than 200 words, at the beginning of each paper, is required for Articles, Reviews and Short Notes. Please submit a maximum of eight relevant keywords, listed alphabetically, that do not appear in the article title. The text (excluding Short Notes) should be divided into sections that typically follow the order: Introduction, Material and Methods, Results, Discussion, Acknowledgements, References. The sections/subsections must not be numbered. Tables and figures — Each table and figure must be numbered with Arabic numerals and must be accompanied by an appropriate standalone caption. Tables and figures must be formatted to fit the page vertically with a printed width of either 84 mm or 176 mm. Tables may include up to five horizontal lines but no vertical lines. Authors must ensure that their figures conform to the style of the journal. Pay particular attention to line thickness, font and figure proportions, taking into account the journals printed page size. Costs of redrawing figures may be charged. Please refer to Figure Guidelines for Authors available for download below. For digital photographs or scanned images the resolution should be at least 300 dpi for colour or greyscale artwork and a minimum of 600 dpi for black line drawings. These can be saved (in order of preference) in PSD, JPEG, PDF or EPS format. Graphs, charts or maps can be saved in AI, PDF or EPS format. MS Office files (Word, Powerpoint, Excel) are also acceptable but DO NOT EMBED Excel graphs or Powerpoint slides in a MS Word document, rather send the original Excel or Powerpoint files. More detailed technical information is given in Figure Guidelines for Authors. Allanson BR, Baird D, Heydorn AE. 1999. Perspectives. In: Allanson BR, Baird D (eds), Estuaries of South Africa. Cambridge: Cambridge University Press. pp 321–327. Paterson AW. 1998. Aspects of the ecology of fishes associated with salt marshes and adjacent habitats in a temperate South African estuary.PhD thesis, Rhodes University, South Africa. Whitfield AK. 1989. Ichthyoplankton interchange in the mouth region of a southern African estuary. Marine Ecology Progress Series 54: 25–33. Refer to Reference Exemplars for Authors available for download below for more examples. Conventions: The UK spelling convention should be followed. There should be a single space between sentences. Units of measure — The SI system of metric units is used, as is the 24-hour clock (10:00, 21:30). If non-standard units are used, these should be defined in the text. No units are associated with salinity. There should be a space between numerical values and their units (e.g. 500 ml, 23 g l–1) except for percentages (25%). Dates should be written as 13 July 2012. Ranges should have an en dash (3–5 km). Conventions on presenting mathematical and statistical data are outlined in Statistical presentation guidelines available for download below. The period (.) must be used as the decimal indicator and thousands/millions should be marked with a space and not a comma (e.g. 1 234.56 g). Species names and authorities — The International Code of Nomenclature style must be observed for scientific names. Only use brackets for authorship if the genus name has changed, e.g. ‘Clarias gariepinus (Burchell, 1822)’. ‘Author and publication date’ are not specifically required after scientific names used in the MS’s title, but may be used there if an author so wishes. However, they must be quoted after the first usage of ‘major’ species mentioned in both the Abstract and the Text. They are not required for every scientific name listed throughout a manuscript. Proofs: The ‘corresponding author’ will receive proofs for checking. Corrections to the proofs should be restricted to those that have been introduced during the production process. Other than such corrections, substantial alterations may be charged to the author. Electronic reprints: Authors will be notified by e-mail when their article is available for download from the journal website. 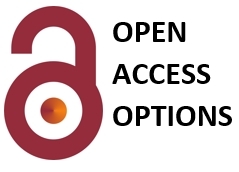 Open access: African Journal of Aquatic Science is a hybrid journal which allows authors the option of publishing their article Open Access for a set fee. Further details are given in the Gold Open Access Procedure document available from the NISC Open Access page. Enter your details below to subscribe to African Journal of Aquatic Science . Title Choose one... Mr. Mrs. Ms. Dr. Prof. Adv. 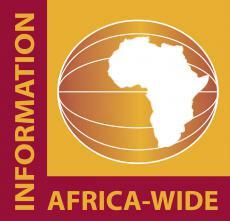 Have a question about African Journal of Aquatic Science ? Call us on +27(0)46 622 9698 or submit an enquiry using the form.